Showing recent results 4201 - 4215 of 4490 products found. MRD’s BellMega saves time by performing continuity testing and insulation leakage resistance testing simultaneously. 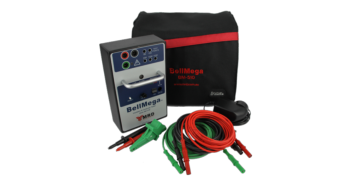 The BellMega is a continuity tester for point to point wiring verification and includes earth leakage detection of the wiring being tested. The high voltage DC source is regulated to provide a stable reference for insulation breakdown resistance detection. 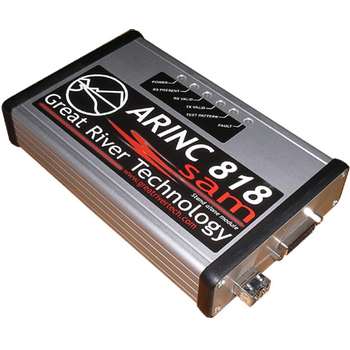 ARINC 818 - Great River Technology, Inc. The HOTLinkTM stand alone module (SAM) is an invaluable tool for HOTLink testing. The SAM can be used as a portable signal converter, splitter, test pattern generator, or continuity tester. The SAM comes standard with an A/C adaptor and is also compatible with A/C 28 VDC. 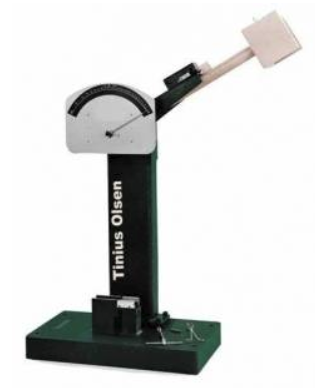 Tinius Olsen’s pendulum impact testers are versatile and reliable machines designed to fully comply with the specifications outlined in ASTM E23, EN10045-2 and ISO 148. Today, the Model IT406 and the Model IT542 are widely recognized as the standards of the industry for impact testing. 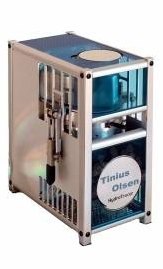 This new moisture analyzer is less expensive, just as swift to generate a result, and as accurate as comparable heat and weigh or microwave technique-based testers. The patented method of the HydroTracer determines the absolute water content where the mass of the water is measured within the reactor. 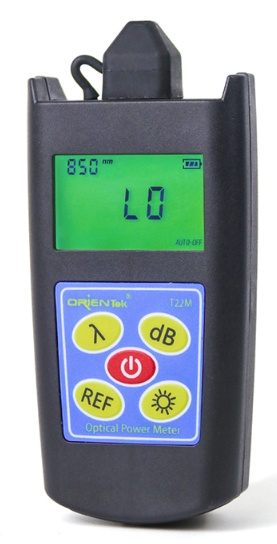 T22M - OrienTek Optical Technology Ltd.
T22M Optical Power Meter is newly designed fiber optic tester,it aims at fiber network installation,fiber network engineering acceptance and fiber network maintenance. Using with T15m handheld optical light source,it offers a quick and accurate testing solution on both SM and MM fibers. 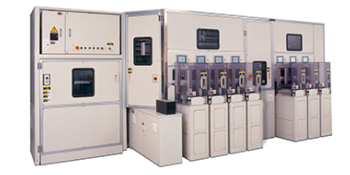 Astronics Test Systems serves the world’s largest semiconductor customers with innovative semiconductor test solutions. With thousands of testers deployed worldwide, our equipment has tested billions of semiconductor devices to date. Manufacturers looking for innovative test solutions that shorten time to volume and reduce the cost of test (CoT) depend on Astronics Test Systems. 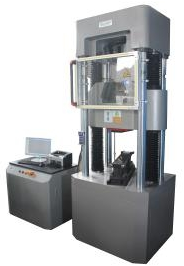 HW Series - Qualitest International Inc.
Control Software is used to control the Universal testing machine. The Tester and the software are designed to accommodate a wide variety of testing needs. The software has a variety of pre-set programmed test cycles for compression, tensile and cyclical testing to meet a variety of testing standards. Designed to be used with the Model HVST High Voltage Surge tester. The Surge Current Monitor allows simultaneously surge testing 20 units. 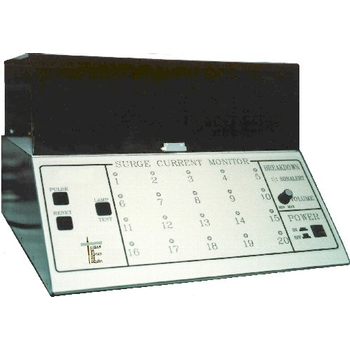 The Surge Current Monitor monitors the current going through each unit under test at the time of the surge. If a unit under test breaks down or leaks, the Surge Current Monitor will identify the bad unit by lighting the corresponding LED. The most important features of the surge tester are its ability to test the entire winding insulation system. A high voltage surge generates turn to turn, coil to coil, and phase to phase voltage stress, as well as ground insulation stress. When used as a dielectric test, accurate voltage readings are essential. The HV Surge Tester monitors the voltage directly across the winding under test. In production testing we expect that most of the time the devices will pass. In the event that one should fail, the failed device would be removed and then all the parts would have ot undergo another surge test. Since most devices pass most of the time, simultaneous surge testing can be a real time saver. CANNA Dx™ - CDx, Inc.
Our first sensor, Canna, will enable you to identify the most important chemicals in cannabis and then relate them to how you feel when using that specific chemical combination. By using MyDx™ to detect THC, CBD, and other cannabinoid and Terpene ratios coupled with an extensive database of countless chemical combinations and their associated feelings, you will finally have the ability to find the best chemical profile that works for you all in one convenient, portable THC tester. By doing so, you also join a growing community of users that test and add new chemical combinations and related feelings each week. This is the perfect cannabis analyzer that allows you to do your own THC testing without the need to go to an expensive central laboratory. KD-128A - King Design Industrial Co., Ltd.
All new developing products must undergo several strict testing processes while in designing, manufacturing and packing/ shipping even. Our drop tester will provide data digitizing and analyzing of your drop and striking while the products in transportation. 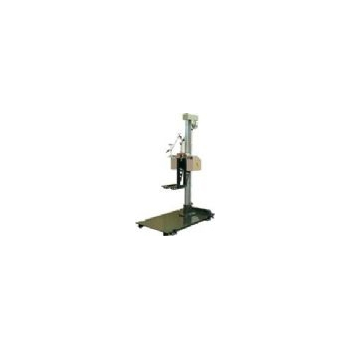 The testing data will help you improve the packing and buffer materials.Packaged drop test is applied to test the anti-vibration & covering capability of packaging material and the sufficiency of product’s impact-resisting capability regarding packaged products. And use the test result to determine how to improve the packaging design. Free drop test is used to assess the characteristics of product’s free fall from improper actions; and evaluate the required strength and toughness of product under safety conditions.Repeated free fall test is to simulate object’s condition after normal fall to hard surface. T5822 System - Advantest Corp. Leading semiconductor test equipment supplier Advantest Corporation (TSE: 6857) has launched the T5822 memory tester, the newest member of its T5800 product series, optimized for wafer-level testing of DRAMs, NAND devices and other non-volatile memories used throughout portable electronic devices. With mobile applications booming, semiconductor manufacturers need low-cost solutions for high-volume testing of a wide range of price-sensitive memory ICs. The T5822 is designed to provide manufacturers of multiple memory devices with cost efficiency and optimal functionality, including full test coverage of as many as 1,536 devices in parallel with data transfer rates up to 1.2 gigabits per second (Gbps). The new tester offers high-voltage resources such a level driver and DC testing capability along with an economical compact test head. It also features a powerful memory repair analysis (MRA) capability to help customers maximize their yields. 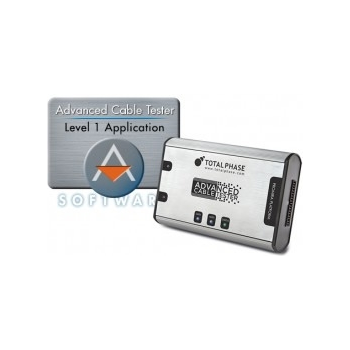 Advanced Cable Tester - Level 1 - Total Phase Inc. The Total Phase Advanced Cable Tester - Level 1 is the quickest and most convenient way to test USB Type-C cables. It provides thorough continuity testing, DC resistance measurement for safe operation/reliability, and E-Marker verification. Rapid spot-checking of cables, easy-to-understand reports, and 100% test coverage are now available to casual, laboratory, and production environments at a fraction of the price, setup time, and labor versus any alternate solutions. The USB Type-C cable is the most technically advanced cable available. High voltage and current, coupled with 10 Gbps data rates and numerous wires drive ubiquity and, with it, complexity. Test and validation of cables has always been essential, but with the added risk of fire increasing liability, complete testing of these new cables is more critical than ever. The Advanced Cable Tester enables this essential testing, without expensive scopes, custom fixtures, and highly trained personnel, saving hundreds of thousands of dollars. 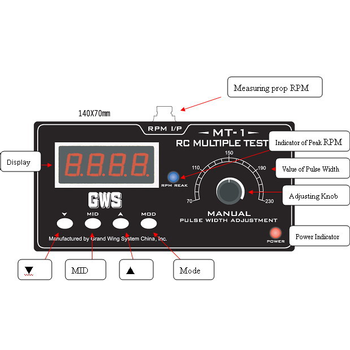 GWRMT001 - Grand Wing Servo-tech Co., Ltd.
◆To measure the Pulse Width transmitted by Transmitter for up to 9 channels. ◆To measure the Pulse Width sent from Receiver.◆To test the rotations of Servo automatically – at the pulse widths of top, medium and low points set by user already.◆To test the automatic rotations of Servo.◆To test the rotations of Servo by turning the knob on the tester manually .◆To test the sensitivity of Servo (1μS per step minimum).◆To measure RPM of a spinning propeller – for 2 – 6 blades ones, real time RPM value shown／to set the peak RPM value up to 99990 per minute.◆Shiny 4 digits red LED's to display the values measured.◆Power source can be from UM-4 / AAA cell x4, or an adapter with 7-15V or BEC (5V) from an ESC.◆An output port for applying Positive/Negative signals of Pulse Width from this tester.◆Four buttons for setting up functions and modes. DC3 - Hilevel Technology, Inc. The wafer has been fully tested, cut and packaged. 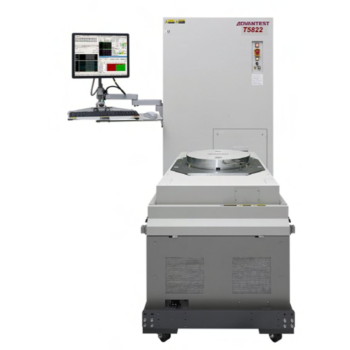 Today's IC manufacturers are finding tremendous cost savings in performing just fast DC tests on these packaged parts rather than running the full wafer tests all over again. Until now this required either an expensive full-power IC tester, or a "rack-n-stack" collection of instruments. 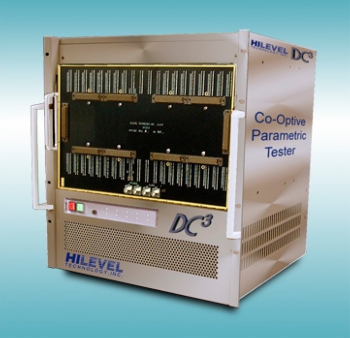 Enter the HILEVEL DC3 Co-Optive Parametric Tester. No more instruments, no switching matrix, no tricky software. The DC3 combines a high-precision DC-PMU and internal DUT supplies to test up to 2,048 pins, all in a single chassis with Multi-Site capability up to 64 sites. And every DC3 includes our Classic Curve Trace feature, allowing easy curve tracing on every pin. 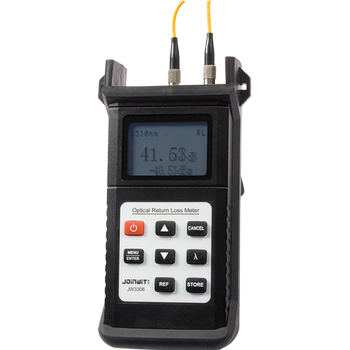 JW3308 optical return loss meter is designed to measure a variety of optical devices, optical link return loss, optical fiber connector quality control is applied to the site of an optimized solution. Can be used separately optical return loss tester, insertion loss meter, optical power meter, light source, and having a data storage function.